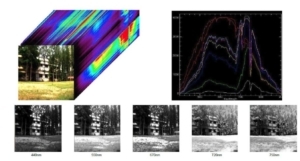 The GaiaField hyperspectral imaging system is capable of capturing more than 700 spectrum channels of long-distance objects in the wavelength range between 380 nm and 1000 nm. 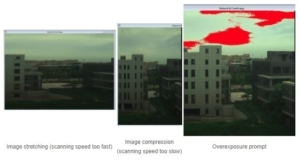 Its ground remote sensor uses the advanced hyperspectral imaging technology, offering a high spectral resolution (typical spectral resolution of visible light band: 3 nm / short wave infrared band: 10 nm). This ultraportable hyperspectral system is composed of three parts: a multi-dimensional motion controller, a spectral camera and an imaging spectrometer. Only one button is necessary to achieve automatic exposure, automatic focusing, automatic scanning speed matching… Data preview and correction function are available. It can be widely used in target recognition, camouflage and counter camouflage research, field and ground objects telemetry, remote environment research, agriculture monitoring, industry sorting, etc. Multispectral and hyperspectral imagery gives the power to see visible (red, green and blue), infrared and ultraviolet lights. 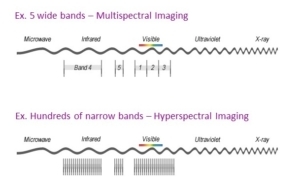 The main difference between multispectral and hyperspectral is the number of bands and how narrow bands are. 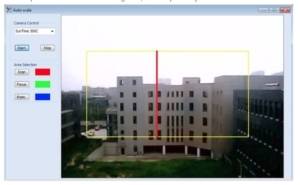 Multispectral imagery generally refers to 9 bands (see SpectroCam and PixelCam). Hyperspectral imagery consists of much narrower bands (10-20 nm). A hyperspectral image could have hundreds or thousands of bands (coming from an imaging spectrometer).